Don’t look now, but between London’s Savages and Leeds’ Eagulls, we very well may be in the midst of a UK post-punk explosion. 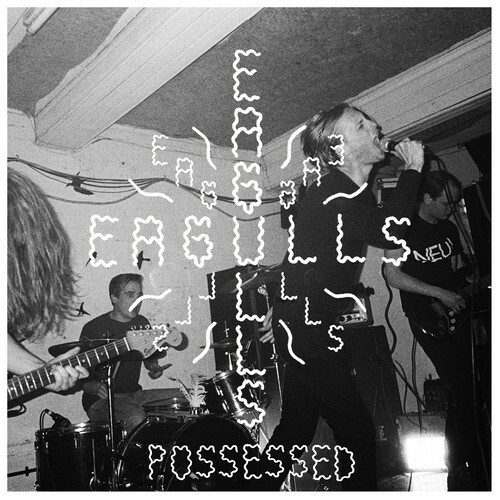 And while it’s hard to point to anything new Eagulls bring to the post-punk game almost thirty years after Joy Division, it’s just as difficult to dismiss the band out of hand. For like their country-mates in Savages, the songs of Eagulls operate with such urgency and such angst, that they demand to be heard. Twisty, uneasy guitar melodies may remind the listener of My Bloody Valentine. The amount of feedback, lots of feedback, points to the Jesus and Mary Chain. The agile bass, meanwhile, recalls the aforementioned Joy Division and New Order. None if it’s new. But when those scorched and shouted vocals come in, the whole becomes much more than its assembled parts. “Possessed,” indeed. Eagull’s debut album will be out March 3rd on Partisan Records.